This project, which resembles the like Big Brother reality show, was attended by 12 asylum-seekers, that have lived one week in a shipping container nearby the theatre in central Vienna. 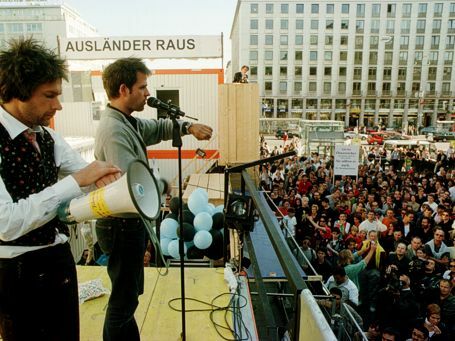 Every day, through a vote by phone or internet the Austrian people chose the two least popular people that were ejected and then deported to their native country. 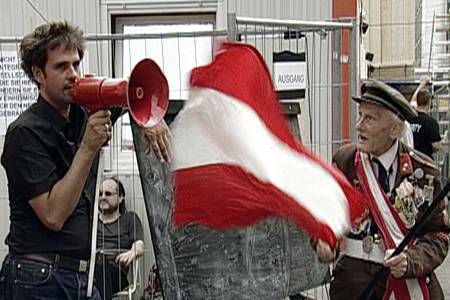 The project was carried out during a period a tense discussions in Austria around immigration and nationalism with Jorg Haiderâ€™s nationalist Austria Peopleâ€™s Freedom Party enjoying strong support.